Yesterday’s Enemies – Mark Loves History! Today in History, November 3: 1941 – A Japanese military council makes the decision that Pearl Harbor should be bombed, and in 2 days time issues the order to the Imperial Combined Fleet to prepare for the attack on December 8th. Secret Order #1 also included plans for the bombing of the Philippines and Malaysia, amongst other Pacific installations. The Japanese had been preparing for this assault for sometime…IJN pilots had been training since the spring for the special tactics needed to bomb in the shallow harbor in Hawaii. 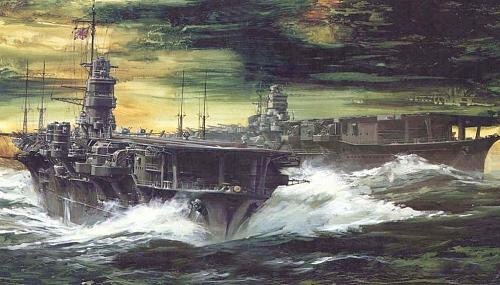 “Negotiations” continued with the American government, even as the Japanese fleet moved and prepared for the attack. Yesterday’s enemies are often today’s strongest allies.